Lotte Grevendonk was born on May 27th 1991 in Lommel, Belgium. In 2014 she graduated with a Master degree in Biomedical Sciences at Hasselt University. During her junior internship, she was involved in clinical and molecular research to the effect of exercise therapy in multiple sclerosis patients. For her Master thesis project she was selected for an international training program in the Epidemiology, Epigenetics and Toxicology Lab of Prof. Bollati at the University of Milan. There she performed her research project in the framework of the Environage birth cohort of Prof. Nawrot, investigating mitochondrial oxidative DNA damage caused by particulate air pollution exposure during pregnancy (Grevendonk et al., 2016). Afterwards she worked at the Laboratory of Genetics of Complex Neurological Disorders of Doctor Martinelli Boneschi at the San Raffaele Scientific Institute in Milan. In this research group she was involved in the identification of relevant genetic variants in multiple sclerosis. In September 2016, she started her PhD at the Department of Human Biology at Maastricht University, under supervision of dr. Joris Hoeks in DMRG. 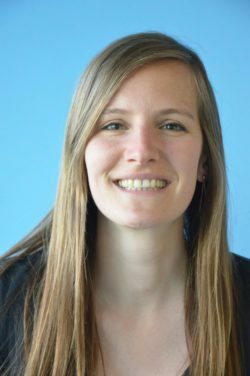 During her PhD, Lotte will focus on the relation between skeletal muscle mitochondrial metabolism and muscle health in physically compromised humans. Furthermore, in primary muscle cell cultures, she will investigate whether nutritional compounds can improve mitochondrial health.